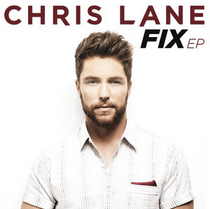 Chris Lane is an American country music singer-songwriter from North Carolina. He has just released a much-anticipated 6-track EP on Big Loud Mountain Records. We have six tracks which are extremely catchy and very listenable. The bad news ….none are remotely “country” even in the liberal times that we operate in. He opened for Florida Georgia Line on their “This Is How We Roll Tour” and the final cut “Her Own Kind Of Beautiful” is totally reminiscent of FGL’s previous hit singles. If up-beat pop sounds are your thing, this EP is for you. Every song is up-beat and very slickly produced. The opening single “Fix” is made for radio and will fit seamlessly alongside the various Sam Hunt and Thomas Rhett tracks that get endless plays on Country radio nowadays. “For Her” opens acoustically and for me is the stand out track. It features Chris Lane exposing his falsetto vocal range and is the one that appears to have been “countrified” the most. Having said that, it wouldn’t be out of place on a Backstreet Boys album. “Stolen Car”, whilst continuing to stretch the already stretched boundaries of country music, is another standout. Lane has said that he has always been attracted to “songs that want me to move and dance” and all 6 tracks here fit that criteria. His profile is rising rapidly and he has been selected as an “Artist to watch” for 2016. “Fix” will be released to country radio early December and is predicted to do well. The industry speak is that the EP showcases his “brand new sound”. This one will certainly split the crowd.